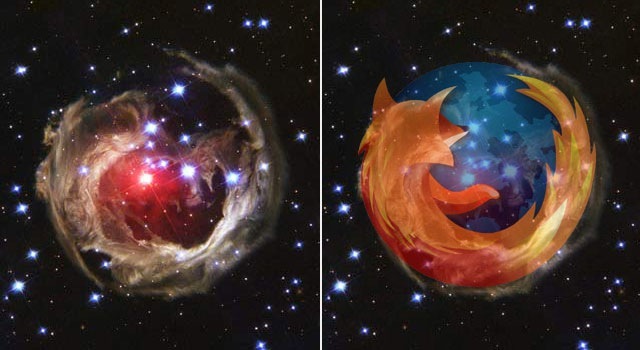 This photo, taken by the Hubble space telescope, bears a striking resemblance to Firefox’s logo. The logo is overlaid on the original image in the second picture for reference. Even the dates seem to coincide. This image of the star V838 Monocerotis was taken on December 17, 2002. Firefox, meanwhile, released v0.1 on September 23, 2002.